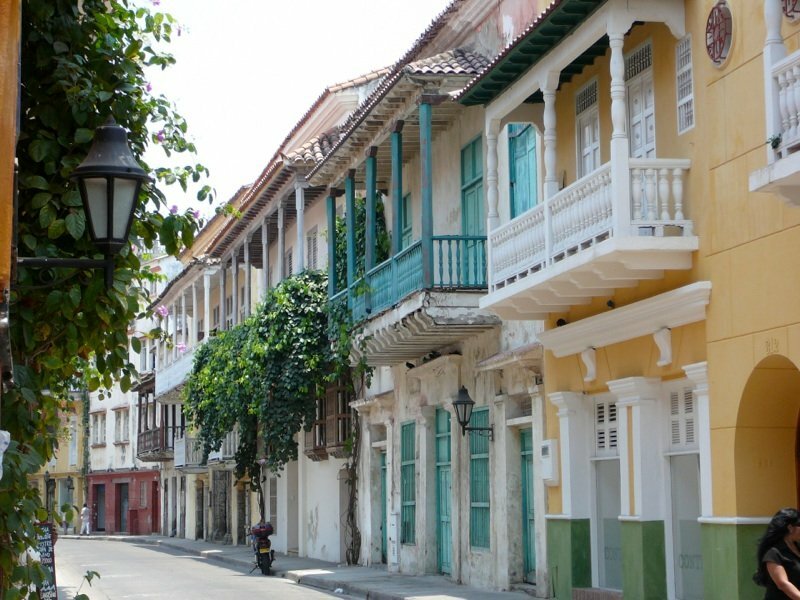 Like yesterday, we decided to serve as Escorts and jump on the “Best of Cartagena” tour… Unlike yesterday, there was plenty to see in this small Colombian city! It actually reminded me a lot of the cities in Mexico. Traffic was crazy, the architecture was very Spanish, and the people lived in humble dwellings. As the country is 90% Roman Catholic, we had the opportunity to visit a Monastery along with number of churches during our excursion. Additionally, we toured a large Fort built in the late 1700’s. Apparently, Cartagena was a huge center for slave trade for South and Central America… Unfortunately, we didn’t get to learn much about that during the tour (not something you’d want to brag about, I guess). I’ll be doing some research on this before our next stop through here. After our tour, we had a huge lunch and another nap, poolside. After that, we headed dinner where we bumped into Mary Ann & Friends and we decided we would again dine together… And we had twice as much fun as we did the night before! Looking forward to tomorrow.